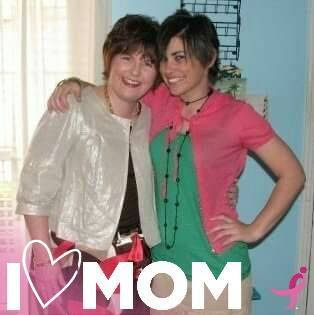 Today marks six years since my mother unexpectedly passed away. 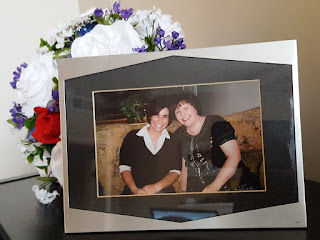 I’ve written a number of posts about grief and grieving, and I still find all of it true, even six years from that day. I still miss her just as much. Her absence still hurts just as acutely. I still think about her every day. And I still wish with all my heart that she was still with me today. With that being said, one thing that has changed is that I have been learning to live without her. There are still times when I reach for my phone to call her before remembering that that is no longer possible, and there are still times when I visit home and I expect her to just be in the other room. But, these times are becoming fewer and further between. I am learning, and I have been learning, to live my life differently without her. I love my mother, with all my heart, forever. And I look forward to the day when we can be reunited again—the greatest blessing of the saving ordinances of the gospel. But for now, I want to carry on her legacy and ensure that my family and my children will know at least a piece of my mother. So with this post, I want to focus on one way I have been doing this very thing and that is in regards to celebrating holidays. Aside from my mother’s great love for the gospel and for others, one of the things that I remember most about her was her love for the holidays. I’m not just talking about Christmas, but every holiday—even the more “minor” ones. Each holiday was an event in our household, from Halloween to Valentine’s Day to Independence Day all the way to Saint Patrick’s Day. My mother would hang decorations for each holiday at least a month in advance and do her best to play said holiday’s music and movie selections to get us—her kids—excited for the celebration awaiting us. Family picture by the Christmas tree. She taught me traditions for each holiday, and they are traditions I am determined to keep, along with some of the new ones we're making as a family now. For New Year’s Eve we always stay up until midnight, eating a feast of Hillshire Farms summer sausages, cheese, and crackers. For Valentine’s Day we always wear red or pink, and hand out or mail Valentine’s. For Saint Patrick’s Day, we get all decked out in green and eat Irish food! This was how I discovered my love for shepherd’s pie. Easter, of course, was celebrated with a visit from the Easter Bunny, who always hid our Easter baskets along with plastic eggs full of candy. My mom would also read us the story of Christ’s resurrection, the reason we celebrate Easter. For our birthdays, we would get to pick dinner that night, and we would get to have a birthday party with friends each year. I remember when I was eight, I wanted an Apollo 13 themed birthday, since I was so very into astronomy and that movie is awesome. And, my mom found a way to do just that and make it fun for everyone who came out. Independence Day we would either watch fireworks or shoot off our own while enjoying some good backyard barbecue. And then Halloween! Halloween is a big deal for our family with the whole house made up to be haunted, scary movies playing all the time, big Halloween parties, corn mazes, haunted houses, and we always dress up. Thanksgiving brings time with family, and lots of food, turkey, and pumpkin. We would always watch the Thanksgiving Day parade, and we would make paper hand turkeys. Christmastime was full of the wonderful holiday music playing clear until the new year, with a new Christmas movie and story every day, with re-tellings of Luke 2 and the story of Christ’s birth, and with so many more traditions! With each upcoming holiday, I tell my family the stories of Grandma Taylor and how she would make these days extra special. I tell my daughter how excited we would get for the holidays, and how they would break up the monotony of the regular days of the year. There was always something to look forward to, and even now as an adult, I remember how celebrating each holiday also taught me how to hope for good things to come. This was one way, one big way, that my mother showed her love for me. 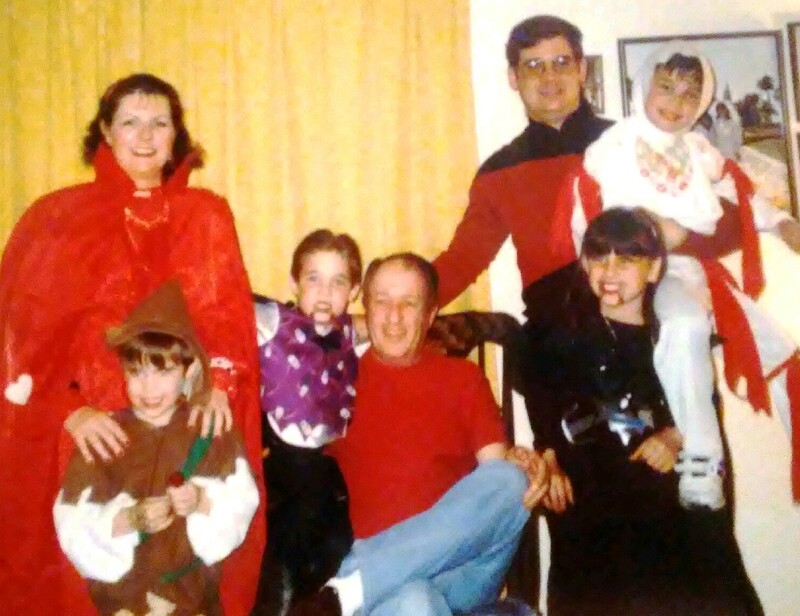 My whole family decked out for our annual Halloween party. Mom was the Queen of Hearts. I know that some people don’t like celebrating holidays, or even hearing about how others celebrate the “minor” holidays. But I don’t make a big deal about these days for anyone other than my family (and for the people I really love). 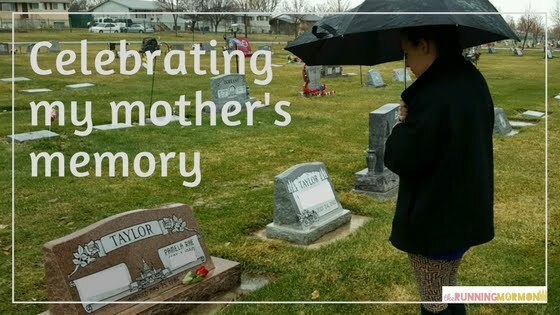 This is how I am honoring my mother’s memory and this is how her memory will live on in the minds and hearts of my children who never really got the chance to know their amazing Grandma Taylor. These are the days I feel closest to my Mom, and I will continue to cherish the memories I have of her as I create new memories in her honor with each upcoming holiday.